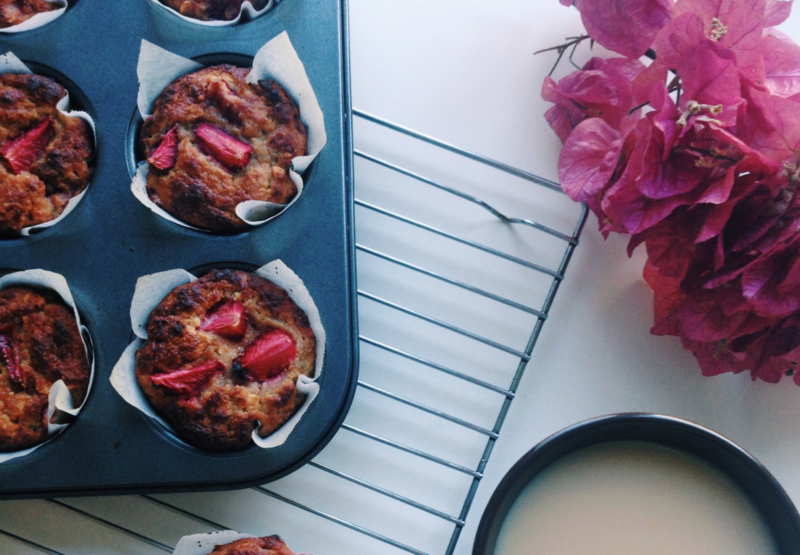 A quick and simple recipe for delicious strawberry goodness! In a bowl combine dry ingredients (almond meal, oats, baking powder, bicarb, nativa). In a separate bowl combine wet ingredients (applesauce, almond milk, coconut oil, 2 eggs). Mix through 2/3 roughly chopped strawberries. Spoon into a lined 12 hole muffin tray. 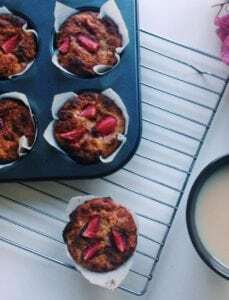 Top with more strawberries and a sprinkle of coconut sugar (optional). Then bake in a moderate oven for 25mins or until golden and cooked through.